Is Klout Still a Thing? Whatever happened to Klout? Is it still around—or did it fizzle out just as fast as it caught fire? The answer is not what you think. Fresh out of graduate college, I was doing everything possible to land my first full-time gig. I sharpened my digital resume as well as networked online and at conferences. I started this blog (here’s my first post) to get real-time experience in the world of blogging and content marketing. And I obsessed about my Klout score. Back in 2012, Klout was still a thing. Many online job application asked for my Klout score. And being that I wanted to launch my career in digital marketing, it was vital that my score was anything above 40. So I made sure my Twitter and my LinkedIn presence wasn’t anything less than daily—if not hourly. For those not in know, Klout pledged to measure your online influence based on your activity on social media. Here’s how it worked: Klout reviewed your activity across social media platforms, from how often you posted and communicated with your online community to how often your posts received shares, comments and likes. Based on its calculations, Klout deemed you a number between 1 and 100 assessed weekly based on your social media influence—not to mention detailed reading on which categories where your influence was noticed. Klout started way back in 2008 when Facebook recently opened its gates to all users and Twitter was still a shiny new social media toy. In other words, social media wasn’t an exclusive club anymore and everyone wanted in on that playground. That included businesses, and they weren’t shy about jumping in. Take the Palms Casino Resort in Las Vegas for example. When guests checked in, the hotel clerks looked up their Klout scores. Those with high scores received room upgrades without an explanation. This experiment launched the resort’s social media influence from 17th largest following to a top 3rd spot on Facebook—and, of course, one of the highest Klout scores in its industry. Don’t believe me? Just read this throwback WIRED article. By 2012, Klout was in discussions with major airlines, hospitality brands and department store retailers on how to best incorporate Klout scores into their customer experience. Klout’s VP of Platform Matt Thomson predicted that high Klout scores would let influencers board planes sooner, hotel room upgrades and exclusive discounts from retail stores. Not that any of that ever panned out. Delete Your Klout Profile Now! And it wouldn’t be a social media movement if XKCD didn’t publish a comic about it. That didn’t stop companies from getting in on the Klout campaign. During Spotify’s U.S. launch, exclusive invites were passed out as Klout Perks. Gilt determined your discount based on your Klout score. 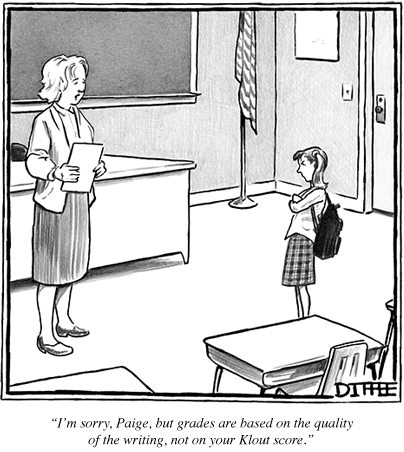 And to be a community manager at Salesforce.com, you better have a Klout score of at least 35. That was five years ago. My, how times have changed. In late 2012, Klout tweaked its algorithm and users’ hard-earned scores plummeted. Many loyal fans were outraged and became disenchanted with the whole Klout experience. Influencers turned their backs on Klout, by voicing the meaninglessness of Klout via tweets and Facebook posts. And just like that, Klout quickly fizzled out as quickly as it became a flame. It was fun for awhile to see just how influential you are within the digital landscape. But reducing your social media impact to a two-digit number demeaned the purpose of these online social communities. Within a year, Klout was no longer a buzzword. Or a thing. Where in the World is Klout Today? Klout is still around. But instead of being a driving force in the digital world, it’s a pulse beating behind the scenes. Let’s put it this way. Klout is alive and well. It’s just changed its approach from the individual user to a business marketing strategic tool. In 2014, Klout was acquired by Lithium for $200 million. That’s a wowser of a number for a dying social platform. But Lithium wasn’t interested in reviving the social media movement. The company wanted Klout’s technology. It’s hard to decipher from their website, but Lithium is a software vendor that’s about improving your company’s social media marketing, analytics and customer service experience. And they have an impressive client list including Best Buy, Sony and Skype. Most businesses are transitioning their online marketing approach now that adblockers zap away a big marketing outlet. Companies are shifting their strategy towards sponsored content and content marketing, but don’t know where to start. That’s where Lithium comes in. With Klout’s technology, companies can build marketing partnerships with the right influencers in their industry. Klout’s technology still isn’t perfect. It doesn’t measure social media influence on all channels such as SnapChat. It hasn’t died off completely. In fact, you can still log in to your Klout account and check out your weekly Klout score. This is me. As you can see, mine’s hovering around 56. If that means anything to you. 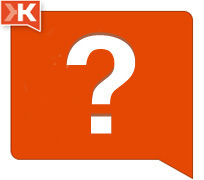 I’d love to know your thoughts on Klout. Is it still a thing to you? Did it ever influence your social media experience? Share your comments below. I still check my score every once and a while just to see where I’m at for fun, but I don’t really care what it’s at anymore.